Perth Festival have announced the first four events for the 2019 festival, including Boorna Waanginy: The Trees Speak, Lang Toi (My Village), The Great Tamer and Mozart’s The Magic Flute. 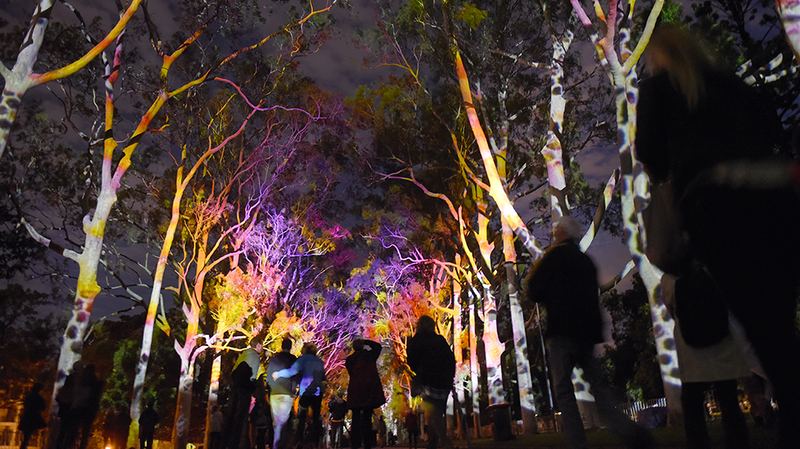 After its wildly popular debut (despite stormy conditions) at the 2017 Festival, Boorna Waanginy: The Trees Speak lights up Kings Park once more over a four-night Opening Weekend in celebration of our Indigenous Noongar culture and the beautiful and biodiverse South Western Australia. This will be a free, outdoor, family event from February 8-11. The festival will also open with two other Australian exclusives: Lang Toi (My Village) from the Vietnamese circus troupe behind 2017 Festival hit AO Lang Pho and the stage show The Great Tamer by 2004 Athens Olympics artistic director Dimitris Papaioannou. Perth audiences also will be the first in Australia to see director Barrie Kosky’s wildly inventive production of Mozart’s The Magic Flute. This blend of live action, music and animation is brought to life by Kosky’s Komische Oper Berlin, British theatre group 1927 and the West Australian Symphony Orchestra. The show will be playing at His Majesty’s Theatre from February 20 until February 23. Perth Festival runs from February 8 to March 3, 2019. Look out for more details when the full Festival program is announced on November 1.